It’s officially festival season in the desert! Starting with back-to-back Coachella weekends from April 13-15 and 20-22 and wrapping up with Stagecoach on April 27-29, Rancho Mirage and the surrounding desert communities are about to turn into a mecca for music lovers. Thousands of visitors are expected to flock to the area to take part in these popular events so we’re here to help you plan and make all your arrangements ahead of time. The Coachella Valley Music and Arts Festival has grown into one of the top music events in the world. In fact, it’s so big that it has needed two weekends to contain the crowds since 2012 and this year’s headliners The Weeknd, Beyonce and Eminem, along with all the supporting acts, will take the stage twice during the massive event. Unfortunately, Coachella sold out within hours of tickets going on sale back in January. However, if you are lucky enough to already have tickets, be sure to take a look here at the available on-site camping options, hotel travel packages and shuttle add-ons to enhance your weekend. Stagecoach Country Music Festival rolls into town with the hottest names in country music the weekend after Coachella. With main acts including Florida Georgia Line, Keith Urban and Garth Brooks, it’s no wonder this is one of the hottest tickets for country fans. Tickets are still available starting at $349 for admission all three days so get your cowboy boots and denim ready.. You can also purchase shuttle passes and travel packages with lodging. 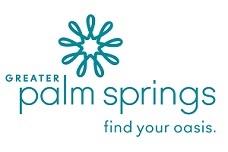 Whether you’re coming to town for Coachella or Stagecoach, you’ll need a place to stay. Rancho Mirage, located just down the freeway from Indio, is the perfect location to keep you close to the action yet far enough away that you’ll still get a good night’s sleep. There are several incredible resorts to choose from if you’re looking to indulge in a little R&R while you’re in town. Boasting fine dining, world class golf courses and rejuvenating spas, these resorts are a relaxing oasis in the midst of the hectic hustle and bustle of festival season. Check out these amazing deals and book your stay at one of the resorts today! Festival food is fine on occasion but you’ll likely want an actual meal at some point during your stay. 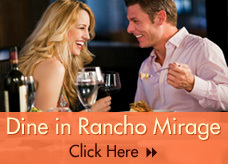 Rancho Mirage happens to be home to many delicious dining options, from casual to fancy. Plus, many of the restaurants will be offering special discounts for festival ticket holders. 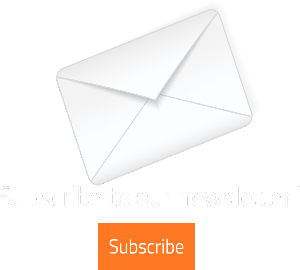 Follow us on Facebook to see all the latest deals and make sure that you stay in the know. Have you arrived in the desert and realized you forgot to pack something? Don’t despair! Head over to The River or El Paseo for any last minute shopping needs. Both locations have you covered for festival attire and more! Now that you have options, enjoy the shows! Cinema Under the Stars Showcases Classic FilmsSave the Date for Greater Palm Springs Restaurant Week June 1-17, 2018!